To truly experience all that the parks have to offer, you should give yourself at least five days to explore. For longer trips, consider pairing the parks with a trip to the adjacent Yoho and Kootenay National Parks in eastern British Columbia or the fossil-filled badlands of eastern Alberta. But if time is tight, we’ve got you covered with these one- and three-day itineraries. If you only have one day, your best bet is to just stick to Banff National Park. For a chance at spotting wildlife, start your day early driving along the scenic (pictured above), and then hike through , where a 0.75-mile metal catwalk clings to a sheer limestone rockface before emerging at the canyon’s Lower Falls. If you’re up for more hiking, 1.5 miles of switchbacks follow a string of waterfalls that dot boulder-strewn Johnston Creek until you reach the stunning 100-foot Upper Falls. Time permitting, keep climbing for another 1.9 miles over a forested ridge until you emerge at the Ink Pots, where pools of warm, greenish water bubble up from the earth’s crust into a broad meadow bounded by jagged peaks. When you’re done hiking, it’s only a 30-minute drive to the village of (pictured below), where you can grab a quick lunch before snapping a mandatory selfie amidst throngs of bus tourists near the settlement’s iconic lake. Although you’ll be tempted to linger, ditch the crowds and take a short drive up the mountains to , Lake Louise’s quieter cousin, where you can spend the rest of your afternoon paddling a canoe, hiking along one if its trails–try the Consolation Lakes trail in the summer months (1.8 miles one-way) or Larch Valley in the autumn (2.7 miles one-way)–or simply lazing on the river shore, feasting your eyes on the cerulean water and surrounding summits and glaciers. Drive back about 45 minutes along the Trans-Canada in the early evening towards the Banff townsite, keeping your eyes peeled for animals making use of the highway’s wildlife crossings, to reach Sulphur Mountain’s in time to catch the town below and neighboring massifs bathing in the light of the setting sun, which can be as late as 10:00 pm in late June and early July (it’s not a bad idea to buy a timed ticket in advance). Right at the foot of Sulphur Mountain, you can then soak in the steaming geothermal pool (forgot your trunks? They rent old-timey one-piece bathing suits! ), which has been warming Canadians for more than 130 years. For dinner, venture into town for “campfire barbecue” and homemade spirits at or Asian-inspired tapas at . Be sure to see if any concerts, readings, or gallery events are happening at the lovely , one of Canada’s most important arts incubators, or catch a live band downtown at raucous before heading back to your swanky hotel or serene campsite. Heading west into the Rockies from Edmonton, stop at the (pictured above) in Jasper National Park to soak in 104-degree pools while surrounded by pristine mountain wilderness. To make your dip all the more rewarding, first take a short hike on the to the ruins of an old bathhouse and to see steaming geothermal water seeping out of living rock. Don’t be surprised if you’re sharing the trail with bighorn sheep, which are known to frequent the area. Heading west towards the tranquil town of Jasper, keep your eyes peeled for wildlife like grizzly bears and elk. Once in town, enjoy inspired pub fare and craft beer at for lunch before hopping on a trail up , driving into the mountains to spend a day hiking or lazing around the otherworldly , or riding on the gondola to enjoy the sunset over a drink at the Summit Restaurant. Back in town in the evening, pop into or for fine dining before spending your night staring at the stars in on a telescope tour. If you’re keen on a night out, shimmy with veterans and locals to a live band at the before heading to your hotel, resort, or campsite. Starting early in the morning, grab a quick breakfast at cute or , an iconic Canadian coffee and donut chain, before driving south on the spectacular 144-mile , which follows the mighty Athabasca River before climbing high above the tree line to a world of glittering glaciers and imposing massifs. Stop along the way for an easy stroll to the tumultuous or . 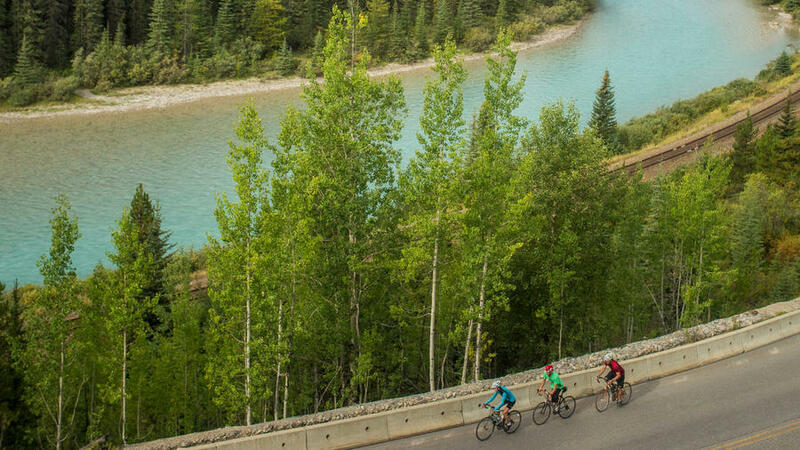 Near the boundary between Jasper and Banff National Parks, take a short hike to the toe of the or jump aboard a jacked-up six-wheeled bus for a “” tour. Giving yourself plenty of time to stop and marvel at the scenery along the way, arrive at iconic Lake Louise in Banff National Park as the sun wanes to beat the crowds at the popular site for a quick evening paddle. Then drink and dine at one of the restaurants and bars in the elegant before heading to your exquisite suite or quiet campground. Узнайте про авторитетный веб портал со статьями про клининговая компания киев. Узнайте про авторитетный сайт , он описывает в статьях про уборка квартир киев цены. Наша организация предлагает купить дом на охраняемой территории у нашего менеджера.